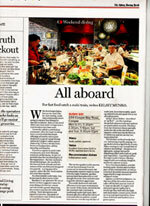 ----------------------------------------------------------------- Sydney Morning Herald LOVE Us ! 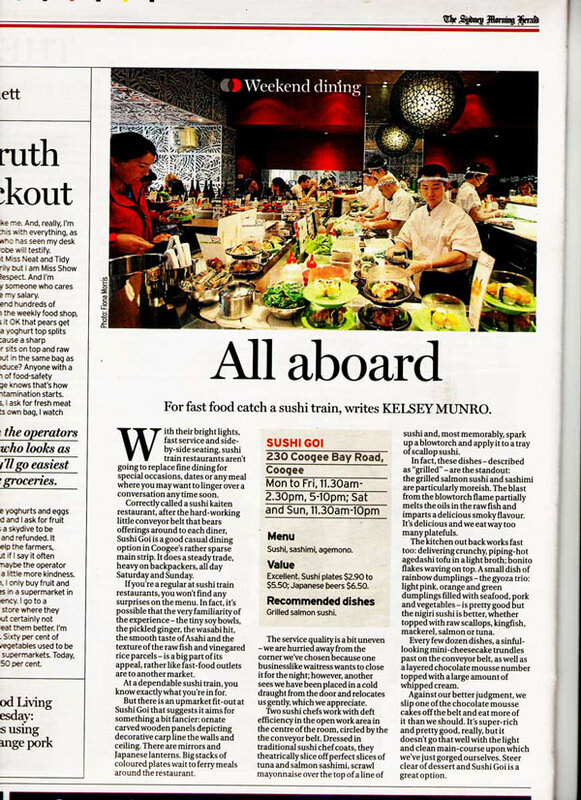 Thanks Kelsey and SMH crew for featuring us.. much love..
At SUSHIGOI, we set ourselves to be no ordinaire japanese kaiten (conveyer belt) restaurant, notably we believe in providing an ethereal with an alluring ambience more than a simple kaiten experience just for you by setting ourselves apart from the norm. The people behind SUSHIGOI has had years experiences in the industry. Our main objective is to provide our clienteles with the best quality food, ambience, and the best SMILE ! Experience a different KAITEN ! ONLINE ORDER ! ! ! 8 different platters to choose. .
Coogee Beach 1st outlet now OPEN!! !